The recent ban on using the term "parmesan" made it essential to define the Grana Padano brand in foreign countries where the product had spread under the generic name. 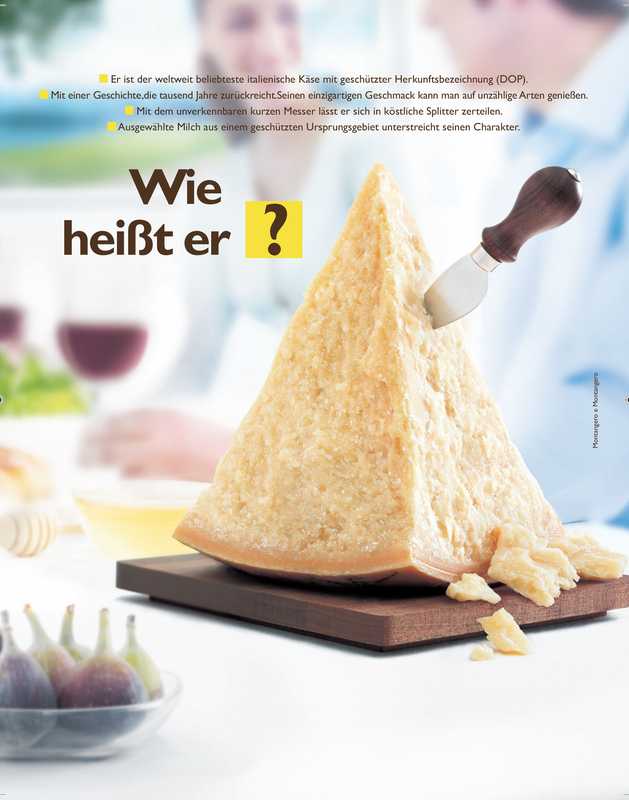 The first German campaign "Wie heibt er?...Ja, Grana Padano" was in 2005. Germany became the biggest export market for Grana Padano. The campaign was structured as two consecutive pages, a teaser in which the consumer was challenged to remember the name of the product and a second page where the usual name parmesan was surprisingly replaced by the affirmation "Ja, Grana Padano". The payoff "inimitabile dal 1135" (inimitable since 1135) was intentionally in Italian.